Start out by preheating the oven to 400 degrees fahrenheit and taking out a large sheet pan. Spray the pan with canola oil and line with parchment paper. Green beans should be cut in half. Ensure the ends are also trimmed! Cut the red potatoes into small pieces. 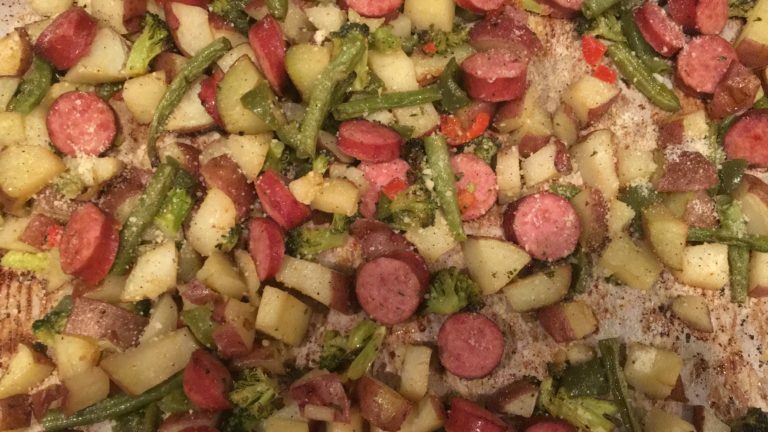 The thicker the potatoes (or any of the veggies, tbh), the longer it’ll take to bake. Chop the peppers into small squares. Cut your sausage into medium slices. 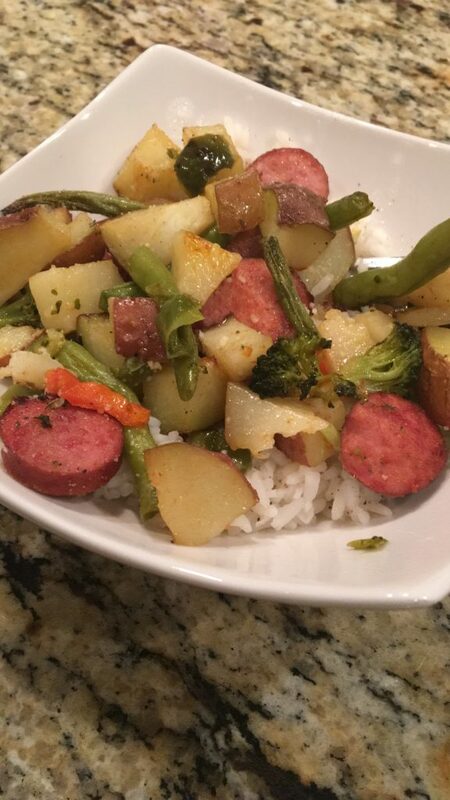 Place all the veggies and sausage into a large bowl. Drizzle in the olive oil and begin mixing and tossing the veggies in the bowl. Be sure to also add in the spices while mixing. Spread all the ingredients on the pan and place in the oven. Bake for 15 minutes. Flip the veggies then place back into the over for 15 more minutes. Once finished, sprinkle with Parmesan cheese. Pair with a warm bowl of rice and enjoy!